After a mostly dry January, a late month storm brought some much needed snow to the Tahoe area. 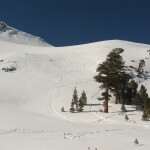 Below are a few pictures from the Carson Pass area backcountry from January 29th. The snow was pretty variable and wind affected, but we managed to find a few shots of nice boot deep powder in areas protected from both the sun and wind. 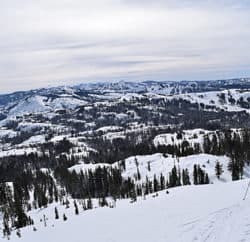 For gear on this trip, I used the Black Diamond Verdict 180 with Fritschi Freeride Plus bindings and Ascension Custom Skins, as well as the Black Diamond Outlaw Avalung Pack and Carbon Fiber Poles. 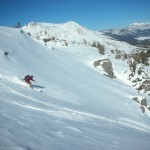 All of this gear performed flawlessly on this trip, but the Black Diamond Verdict Skis really stood out. 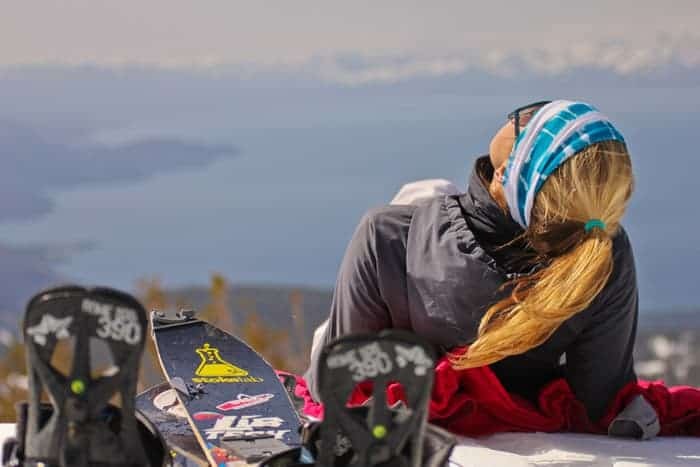 They are light enough to tour and stiff enough to handle variable snow conditions with ease. 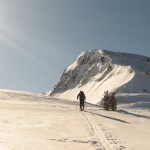 They are one of the more versitile skis I have tried and are a perfect go-to backcountry ski for when you need a ski that can handle any conditions you may encounter.